Mr Green launch their new games with a bang and the release of the Grim Muerto mobile slot is no different. Celebrating in style, you've got plenty of time to join this crazy party because the promotion will be running from July 12th to the 22nd. And what's up for grabs, you might ask? Well, as the regulars of this fab mobile casino will know, Mr Green have set apart €10,000 in cash to hand out to random lucky players. Would the top prize of €3,000 be enough to make you go loco? We think so! What's even better is that this casino promotion comes with no wagering requirements attached to it – everything you win you get to keep, so let's get spinning those Grim Muerto reels. 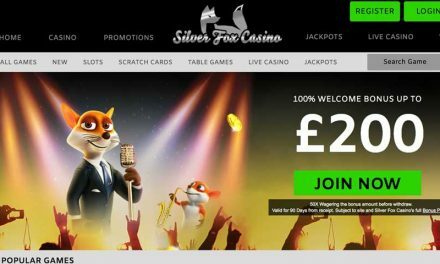 If you're a regular at Mr Green casino, you'll know exactly how this promotion works. Yet, for the rest — or if you need a refresher — here are all the details. Advertised as a ‘cash fiesta to die for,' this promotion is packed with thematic puns, so you'll have to forgive us if we also give in to the temptation. In honour of the Grim Muerto mobile slot, the gentleman that embodies this great mobile casino is giving away lots of cash prizes simply for checking the game out. Launching today (July 12th) and running until the 22nd f this month, every time you play 20 rounds on the game, you'll gain one entry to the prize draw. As we already mentioned, there will be no wagering requirements that apply to the winnings — they are all real cash and can be withdrawn right away if you wish. Although we do urge you to rather keep it in the balance and enjoy some of the other excellent games that Mr Green casino has got in store. Actually, there's a huge number of mobile slots that they feature from a wide variety of developers — there's no chance you could ever get bored at Mr Green. Now, go and try to win yourself mucho money! Is The New Play'n GO Slot Any Good? Mobile slots like Grim Muerto make you wonder if anyone in the design theme have had their morning coffee before the meeting took place. Marrying together the traditional Mexican music bands with the attributes of the Day of the Dead (Dia De Los Muertos), what you get is a colourful and bizarre concoction of the undead Mariachi band. Classic, isn't it? In any case, Grim Muerto is a mobile slot that will captivate audiences with its gameplay — 20 paylines (fixed) and five reels, plus expanding wilds, extra spins with the possibility to re-trigger and some extra features too all sounds very good. The bets range from 20p to £100 and although we don't have a return-to-player percentage that's confirmed or the full details on all the features, look out for a full game review out real soon. For now, we have to say we have a strong hunch that this mobile slot will be quite a hit with players. Mr Green’s Football Fiesta Starting Today – Don’t Miss It!